Kolkata Knight Riders 154-4 (Brendon McCullum 56, Gautam Gambhir 36, Umesh Yadav 2-30) beat Delhi Daredevils 153-9 (Irfan Pathan 36, Mahela Jayawardene 30, Jacques Kallis 2-20) by 6 wickets. An all-round performance by Jacques Kallis, well supported by Brendon McCullum, Gautam Gambhir and entire the team took Kolkata Knight Riders at the top of the IPL 2012. Delhi Daredevils scored 153 runs with one wicket in hand at the end of the 20th over and Kolkata Knight Riders thrashed 154 for the loss of just four wickets with 8 balls to spare. 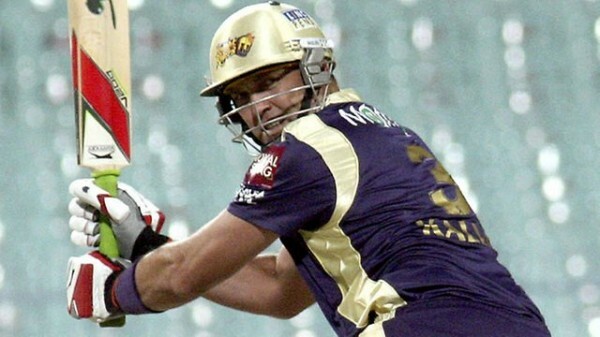 Jacques Kallis (Kolkata Knight Riders) was declared ‘Player of the match’ for his sterling performance in the encounter. The 51st match of the Indian Premier League was played on Monday, May 7, 2012 at Feroz Shah Kotla, Delhi, in front of the packed home supporters of Delhi Daredevils. Warner became the next victim of Kallis nine runs later at his individual score of 21 off 19 deliveries with one six and two fours. Mahela Jayawardene and Ross Taylor consolidated the innings in the middle order as the first got a life when he was dropped on the fifth ball of the eighth over for eight runs. The duo added 46 runs for the third wicket when Jayawardene was run out for 30 off 27 balls with one six and 3 fours. Taylor tried to boost up the innings but lost his wicket as the total reached 100, after scoring 16 runs as Irfan Pathan gave some stability to the innings. Pathan held one end and kept on enhancing the score with boundaries every now and then as the wickets were on the slide from the other end. He was the seventh batsman who went back to the pavilion for 36 from 22 balls with one six and 4 fours as Delhi Daredevils managed 153 for the loss of nine wickets. Jacques Kallis and Sunil Narine were the supreme bowlers with two wickets each as Brett Lee and Pradeep Sangwan held one wicket each. Kokata Knight Riders initiated the innings with Brendon McCullum and the skipper, Gautam Gambhir as the first opted for attack from the very first over by hitting nine runs with a couple of fours. Gambhir changed his gears in the fourth over while assembling 15 runs which comprised one six and two fours and the first fifty of the innings was posted on board in the fifth over. They continued with the assault and took the score to 66 in 6.1 overs when Gambhir was dropped by Umesh Yadav off Varun Aaron at 34 runs. He was unable to utilize the chance and was clean bowled by Aaron on the next ball for 36 off just 21 balls with one six and 4 fours. Jacques Kallis came in next and joined with McCullum who was going smooth at the other end while exploiting all scoring chances. They kept the score board moving at a reasonable pace and Brendon McCullum achieved his fifty on the first ball of the 15th over. The second wicket partnership associated 60 runs and lifted the score to 128 in 8.1 overs when Kallis was gone for 30 off 27 deliveries with 3 fours as McCullum followed him without any addition to the total for 56 off 44 balls with seven fours. Kolkata Knight Riders required just 20 runs from the last 24 balls and the target was attained by smashing 154 runs with six wickets in hand in 18.4 overs. Umesh Yadav was the top wicket taker for two as Morne Morkel and Varun Aaron chipped in with one wicket each. Kolkata Knight Riders – 17 from 12 games at a net run rate of +0.600. Delhi Daredevils – 16 from 11 games at a net run rate of +0.880.